If you have been visiting for awhile now, you may remember that I have a couple of friends that are knocked-up. They don’t know each other, but both really like sock monkeys. I decided to skip making the blankies and go with what I knew they would enjoy – whether they have boys or girls. 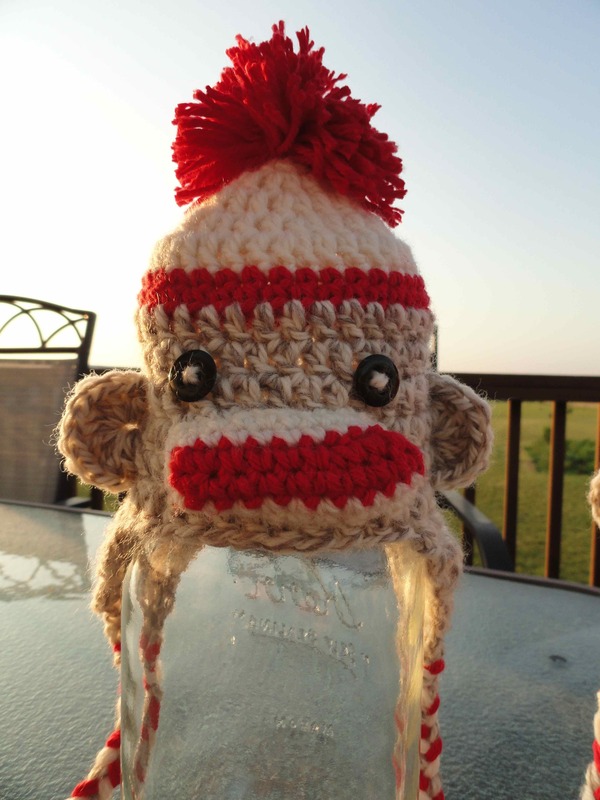 I googled sock monkey hat patterns and found one for newborns. and ended up making my own pattern for this second one. I like the idea of displaying them on glass jars – that was a good one. 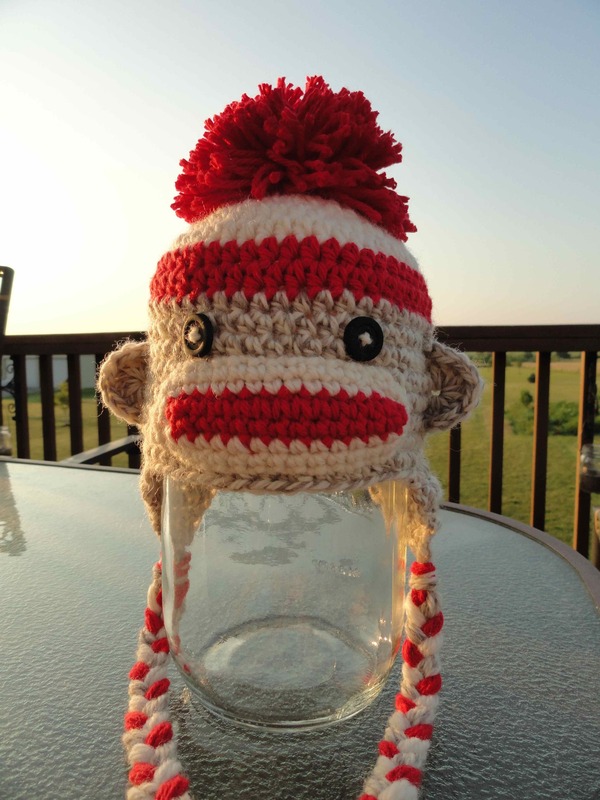 So, while my version is in no way original – I now have a pattern I like for sock monkey hats and I plan on making more. They are cute and quick. Great job, I love them. Is there anyway, I can get your pattern for this. 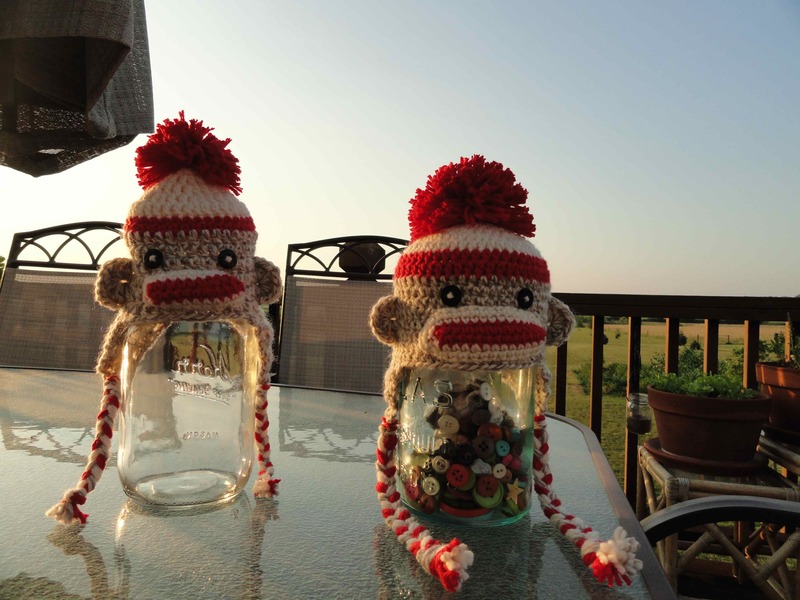 My neice’s baby is into monkey’s and I think he would look great in one of these hats. You are so sweet 🙂 Check your email. To whomever just sent me a request via email on 5/28/13- please resend, I seem to have lost the email. Thanks.